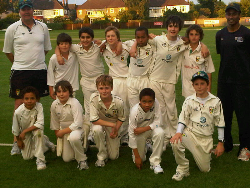 Shepherds Bush Cricket Club runs competitive Colts Cricket for U10, U11, U13 and U15, and offers coaching without competitive matches to many other children from 6 and up. The Colts have regular weekly practices and matches throughout the season. All of our coaches have been DBS (previously CRB) checked and have ECB coaching qualifications. In addition to our coaches, we also have many volunteers who assist our coaches to help give that little bit more to our youth in a safe and friendly environment. We pride ourselves on the positive atmosphere we maintain at Colts’ sessions, and on the balance we achieve between playing for fun and playing to win. Help from parents is always very much appreciated, whether it is providing lifts to away matches, supporting social events, or even scoring. If your son is in any school year up to and including year 6 (primary school age) training will again be on Friday evenings 6pm – 7.30pm. The bar will be open and there’s no better place to unwind at the end of the week. We’ll be having regular barbecues throughout the season on Fridays, so you can even feed your starving cricketers. If your child trains on another day, you can still drop by and have a drink! If your son is in year 7 or 8 training will be on Sunday mornings 10.30am – 12pm. We’ve split this age group out to give them better individual attention than would be possible on a Friday. If your son is in year 9 or 10 training will be on Thursday afternoons 4.30- 6pm (prior to senior practice). If your daughter is playing for SBCC this year, we’re very excited to have a dedicated girls night on Mondays 5.30pm – 7pm. The co-ordinator for this will be Patricia Brady and Jonathan will head up the coaching. The club has committed extra funds to this and we hope in time will lead to girls matches. If training is cancelled for any reason you should get a text, but it’s best to check Twitter for this. If your child is selected to play in competitive matches there is a £2 match fee. If you want to give more to support the Club, you are welcome to make a tax-efficient donation via the Just Giving button at the top left of this page. We will be holding cricket throughout most of August, priced at £20 per day. Club branded kit is not compulsory, although if possible we would like all children playing in representative matches to wear a club shirt – and in any case they must wear “whites” and white shoes for matches. Click on the links in the sidebar to purchase kit. 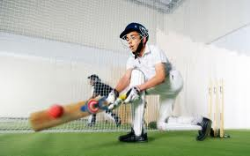 Once your child starts playing with a hard ball (usually when they are about 10) she or he will be required to wear protective equipment, including a helmet, gloves, pads and a “box” when batting or wicket keeping and standing up to the wicket. All these items can be borrowed from the club if necessary, and there are usually a few spare bats about – but most children will probably want their own, and will likely find this to be more comfortable than borrowed equipment. We do not recommend any particular brands or suppliers – fit and feel are more important than labels. You are, of course, very welcome to speak to any of the coaches about equipment.